We’d love your help. Let us know what’s wrong with this preview of The Fall of the House of Usher by Edgar Allan Poe. To ask other readers questions about The Fall of the House of Usher, please sign up. Is the Lady Usher's wife or sister? how the narrator hear from roderick? Barbara He received a letter from Roderick Usher. "There was an iciness, a sinking, a sickening of the heart—an unredeemed dreariness of thought which no goading of the imagination could torture into aught of the sublime. What was it—I paused to think—what was it that so unnerved me in the contemplation of the House of Usher?" 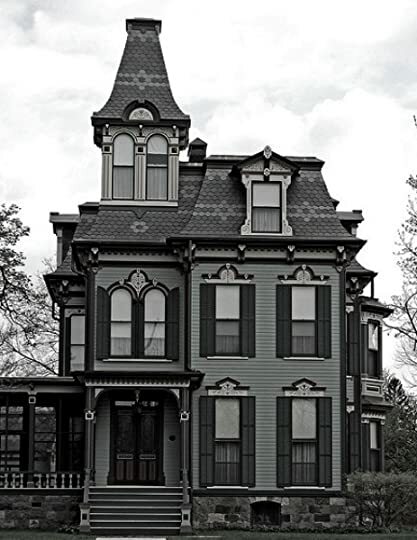 A gothic house that instantly made me think of the House of Usher. When our narrator has been summoned to the bedside of his sick friend Roderick Usher, he finds a household overcast with gloom. If an environment can perme "There was an iciness, a sinking, a sickening of the heart—an unredeemed dreariness of thought which no goading of the imagination could torture into aught of the sublime. What was it—I paused to think—what was it that so unnerved me in the contemplation of the House of Usher?" When our narrator has been summoned to the bedside of his sick friend Roderick Usher, he finds a household overcast with gloom. If an environment can permeate a soul with melancholy and fear, then the House of Usher is a detriment to all who enter. Our narrator begins to feel the effects almost immediately. "I felt that I breathed an atmosphere of sorrow. An air of stern, deep, and irredeemable gloom hung over and pervaded all." Roderick is suffering from numerous illnesses, all undiagnosable in the 1800s. This story predates the modern psychology that eventually is able to put a name to those illnesses: hyperesthesia, hypochondria, and severe anxiety. This trilogy of maladies can start to erode the ability of the mind to reason. His twin sister Madeline is also sick and is frequently discovered sleepwalking or really something more like death walking. The atmosphere is beginning to wear on our narrator as well. He likes Roderick and enjoys composing songs, writing poetry, and painting pictures with him, but even as they manage to ignore the malaise of their circumstances for a few hours, the melancholy is always lurking to reassert itself on their senses. "An atmosphere which had no affinity with the air of heaven, but which had reeked up from the decayed trees, and the gray wall, and the silent tarn—a pestilent and mystic vapor, dull, sluggish, faintly discernible, and leaden-hued." He begins to feel uneasy all the time and is beginning to believe that Roderick is not afraid of a sickness producing paranormal, but is actually, justifiably afraid of something real, but unknowable. Our imaginations can always conjure up worse horrors than those we can actually see. When Madeline dies, things begin to unravel. Our narrator finds himself helping Roderick to take her down in the family tombs. Madeline appears more alive in death than she did in life. Her cheeks are even rosy. Roderick insists that they screw down the coffin lid. Let’s just say the story ends with a bang. I recently started reading the Robert McCammon book Usher’s Passing and realized that it has been a long time since I’d read the Edgar Allan Poe story that was the inspiration for that novel. 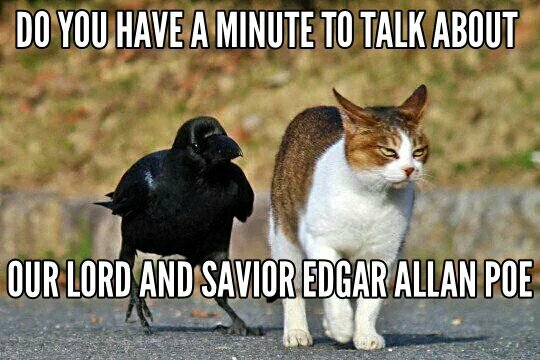 I’ve always enjoyed the ripe symbolism that is always a characteristic of a good Poe story. The reader experiences this growing uneasiness as the story unspools. Poe seemingly effortlessly conveys this sense of impending doom. When I was breaking sentences down to see how Poe was doing this, I realized that it wasn’t effortless, but masterful. I liked Poe even before I discovered that I shared a birthday (January 19th) with him. He was appreciated in his time more by the French than he was by the Americans. I’ve seen it mentioned several times where American travelers to Europe expressed their bafflement at being asked about this American writer who they had never heard of. On some late night, when you are having trouble sleeping, read a story or two of Poe and notice the psychological impact he starts to have on you as your eyes dart around the room at what sounded like a creaking floorboard or your skin crawls at the screech of an owl that may have been the last scream of a woman ensnared. 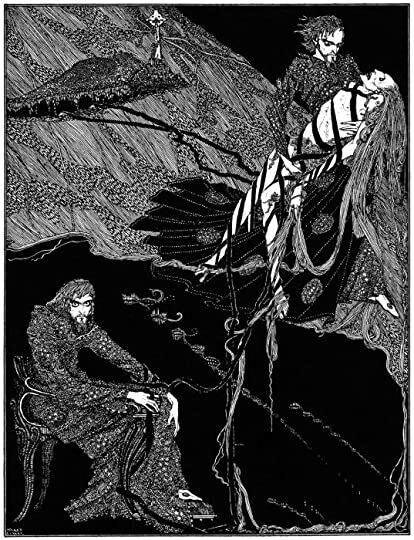 Edgar Allan Poe's "The Fall of the House of Usher" is one of the original haunted house tales. This story embodies old-fashioned gothic horror. The unnamed narrator tells of his visit to the dreary country home of his boyhood friend, Roderick Usher. He notices (and describes at length) how both Roderick and his house are crumbling at the edges. 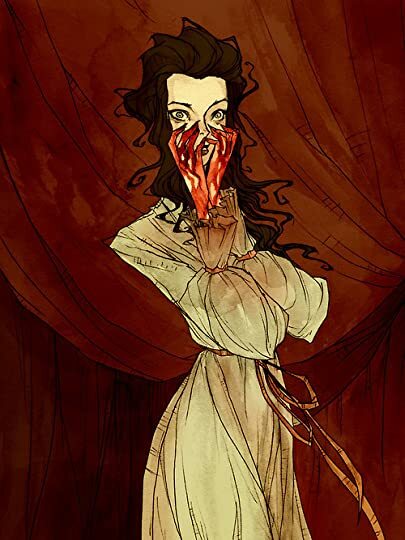 Roderick is a deeply mentally disturbed person; his sister Madeline, who wafts past the two men once without regarding them, se Edgar Allan Poe's "The Fall of the House of Usher" is one of the original haunted house tales. This story embodies old-fashioned gothic horror. This story struck me at first as rather too verbose - Poe gets perhaps a bit carried away with his descriptions of decay, both in the narrator's friend, Roderick Usher, and in his sister (who at different times reminded me of a ghost or a vampire), and in their house itself. But things get creepier as the story moves along, and the ending is truly chilling. The physical house of the Ushers, with its large crack in its walls, and its decrepitude and instability, is mirrored in the persons of Roderick Usher and his twin sister. "House of Usher," of course, can mean either the physical house or the family dynasty, a point Poe makes expressly clear. "Usher," too, reverbates with meaning: what kind of a godforsaken place is the narrator - and we as readers - being ushered into? *SparkNotes offers this opinion: "The family has no enduring branches, so all genetic transmission has occurred incestuously within the domain of the house." Ewww! 3.5 of 5 stars to The Fall of the House of Usher, a short story by Edgar Allan Poe, written in 1839. I found myself a slight bit bored the first time I read it. It seemed to only be about some guy that went to go visit an old school buddy. When he arrives, some type of curse or disastrous mood hangs over his house and looms until the man is a bit fearful. Then, his best friend is dying of some odd disease. They watch his wife die, but only when the man is about to die himself does he reveal that 3.5 of 5 stars to The Fall of the House of Usher, a short story by Edgar Allan Poe, written in 1839. I found myself a slight bit bored the first time I read it. It seemed to only be about some guy that went to go visit an old school buddy. When he arrives, some type of curse or disastrous mood hangs over his house and looms until the man is a bit fearful. Then, his best friend is dying of some odd disease. They watch his wife die, but only when the man is about to die himself does he reveal that he buried the woman alive. She is still down there breathing. It was powerful imagery of the heart still beating and her breaths. It was unlike in “The Tell-Tale Heart” when the heart wasn’t really beating, a figment of his imagination. This time, it was real. Fast forward a few years later, I read the story again at the end of my college years, as a look on mystery and the Gothic origins. And the story is really vivid. It's not Poe's best, but you really get a sense of his imagery and his talent for describing things in a most unique way. إنهيار منزل أوشر ~ إدغار آلان بو..
يا الله كم هو عجيب ومدهش " بو " وكيف يتلاعب بالعقل البشري وينثر الرعب في الأودية السحيقة في النفس ، هذا الرجل يتقن اللعب في عالم الكآبة يدخل من الجيوب الضيقة للظلام يرعب القارئ بسكون لا منتاهي، يغريك بدخول الجو الذي يصنعه في قصصه بإتقان شديد وغرابة، قادمة من عالم آخر شرير ومفزع، كأنها الكوابيس ذاتها..
هذه القصة عجيبة فعلاً وأفزعتني لدرجة كآبتها وواقعيتها وكابوسيتها في آن واحد، في ذلك البيت الطافح بالرعب والغرابة والأناس المصورون بهيئة معتمة، مبهمة، لا تعرف أهي ك إنهيار منزل أوشر ~ إدغار آلان بو..
One of the creepiest, eeriest haunted house stories I’ve ever read. From the first few lines, a disquieting sense a dread begins to build, and it never lets up. The story has the narrator being summoned to a remote decaying mansion where his childhood friend – the last of a great dynasty, is near death. And just wait until something stalks the mansion’s dark halls in the dead of night. Like HP Lovecraft, Poe’s choice of words brilliantly teases the imagination with its dark terrors. The Fall of the House of Usher (published in 1839) may well be one of the stories which started the current interest in the gothic genre, although Ann Radcliffe's "The Mysteries of Udolpho", for instance, had been published much earlier in 1794. Apart from its parody in Jane Austen's "Northanger Abbey", Radcliffe's work has now largely been forgotten along with other great gothic works from the time. Yet The Fall of the House of Usher remains perennially popular and influential. Poe regarded The Fall of the House of Usher (published in 1839) may well be one of the stories which started the current interest in the gothic genre, although Ann Radcliffe's "The Mysteries of Udolpho", for instance, had been published much earlier in 1794. Apart from its parody in Jane Austen's "Northanger Abbey", Radcliffe's work has now largely been forgotten along with other great gothic works from the time. Yet The Fall of the House of Usher remains perennially popular and influential. Poe regarded it as his most successful example of "totality" , in that every detail and event in the story is relevant to the plot. Very early on in this story we are encouraged to empathise with the narrator, as his surroundings become increasingly grotesque, sinister and threatening. The "House of Usher", we are told, describes both the family and the mansion itself, and on learning this snippet of information the ending to this story is neatly telegraphed, albeit on an almost subconscious level. 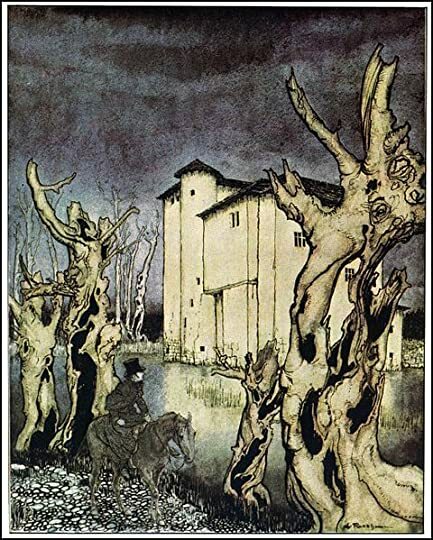 "about the whole mansion and domain there hung an atmosphere peculiar to themselves and their immediate vicinity which had no affinity with the air of heaven, but which had reeked up from the decayed trees, and the gray wall, and the silent tarn - a pestilent and mystic vapor, dull, sluggish, faintly discernable, and leaden-hued." "the bewildering influence of the gloomy furniture of the room - of the dark and tattered draperies which, tortured into motion by the breath of a rising tempest, swayed fitfully to and fro upon the walls, and rustled uneasily about the decorations about my bed." "the under surfaces of the huge masses of agitated vapor, as well as all terrestrial objects immediately around us, were glowing in the unnatural light of a faintly luminous and distinctly visible gaseous exhalation which hung about and enshrouded the mansion." "Oh pity me, miserable wretch that I am - I dare not - I dare not speak. We have put her living in the tomb!" This dark,somber and melancholic world makes my head spinning. I know not how it was--but, with the first glimpse of the building, a sense of insufferable gloom pervaded my spirit. There was an iciness, a sinking, a sickening of the heart--an unredeemed dreariness of thought which no goading of the imagination could torture into aught of the sublime. What was it--I paused to think--what was it that so unnerved me in the contemplation of the House of Usher? 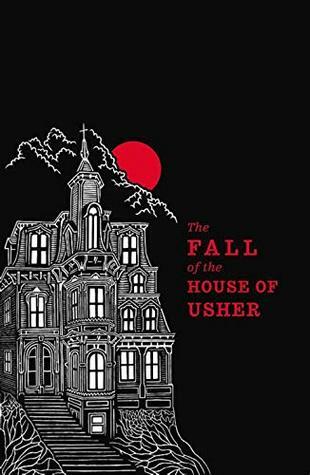 "The Fall of the House of Usher is considered the best example of Poe's "totality", where every element and detail is related and relevant.” It might be important to know before you read it. I’ve read this story many times, trying to grasp all those relevant elements, but it’s not easy. Not only because it’s complex, but also because it’s mesmerizing. As you read it, you forget about literary instructions. “Not hear it? --yes, I hear it, and have heard it. Long --long --long --many minutes, many hours, many days, have I heard it --yet I dared not --oh, pity me, miserable wretch that I am!" Every detail of this story, from the opening description of the dank tarn and the dark rooms of the house to the unearthly storm which accompanies Madeline's return from the tomb, helps to convey the terror that overwhelms and finally destroys the fragile mind of Roderick Usher. Terror, even this extreme which results in madness and death, is meaningless unless it is able to somehow illustrate a principle of human nature. Upon reading the tale we learn that Roderick and Madeline are not just brother and sister but twins who share "sympathies of a scarcely intelligible nature" which connect his mental disintegration to her physical decline. As Madeline's mysterious illness approaches physical paralysis, Roderick's mental agitation takes the form of a "morbid acuteness of the senses" that separates his body from the physical world making all normal sensations painful. The most insipid food was alone endurable; he could wear only garments of certain texture; the odors of all flowers were oppressive; his eyes were tortured by even a faint light; and there were but peculiar sounds, and these were from stringed instruments, which did not inspire him with horror. Poe explores the inner workings of the human imagination but, at the same time, cautions the reader about the destructive dangers within. When fantasy suppresses reality and the physical self, as in Roderick's case, what results is madness and mental death. Madeline's return and actual death reunites the twin natures of their single being, claiming Roderick as a "victim to the terrors that he had anticipated." In terms of Poe, I pretty much loved this. Definitely my favorite by him! The writing and scenery is absolutely lovely. I plan to dive into works of Poe so expect spam of short stories and poems from me in next few days. “The Fall of the House of Usher” is a classic Poe story, and helps us define just what it means to be “gothic” in nineteenth century literature. 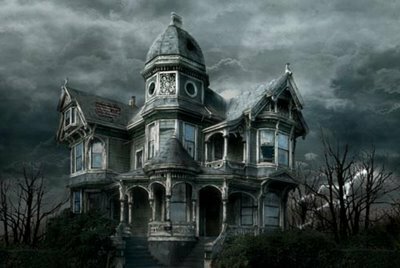 Continuous dark, stormy weather, a huge decaying gothic-style house, continuous pervasive gloom, humans infused with all this. Roderick Usher, pale and wild-haired owner of the house. Sick, maybe from the waters seeping from the tarn into the house? The fungi on the building? Is Roderick an opium eater? 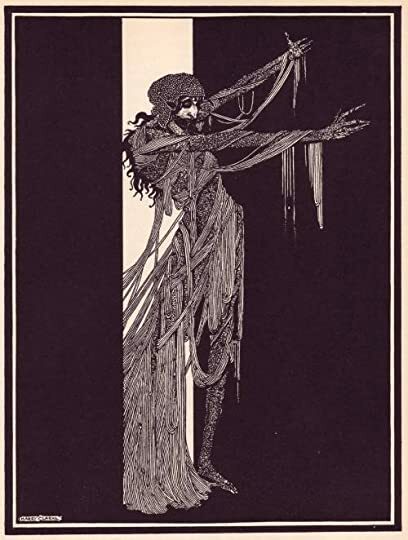 Living with his also pale and wild-haired wraith tw “The Fall of the House of Usher” is a classic Poe story, and helps us define just what it means to be “gothic” in nineteenth century literature. 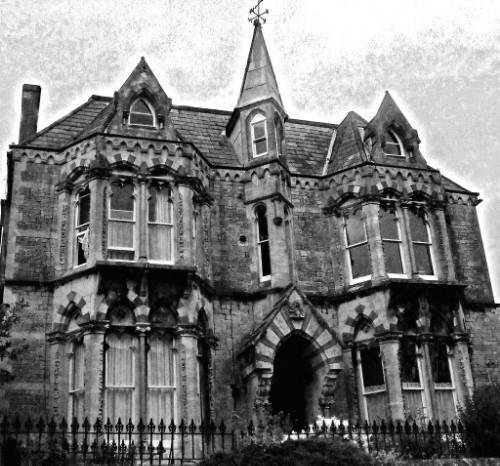 Continuous dark, stormy weather, a huge decaying gothic-style house, continuous pervasive gloom, humans infused with all this. Roderick Usher, pale and wild-haired owner of the house. Sick, maybe from the waters seeping from the tarn into the house? The fungi on the building? Is Roderick an opium eater? Living with his also pale and wild-haired wraith twin sister Madeline. Mental disorder, nervous agitation, mysterious house. Lead poisoning? (imposing a contemporary theory. . .). House decayed, with a crack in the foundation, tall ceilings, dimly lit. Sonorous, formal language on the verge of the ridiculous: “cadaverousness, “ “pertinacity,” “phantasmagoric.” Language that matches the house, a little stuffy. “An excited and highly distempered ideality.” A romantic vision filled with dread, fear. The pleasures of the text, satisfying or at least calling up desire: aching, seductive. Tacking between the laughter of desire and the tears of heartbreak, loss. Death and darkness as delicious pleasures. Rhapsodic painting and music. Presaged by Romantics Coleridge, Wordsworth, Liszt. An imagination intensified by anxiety. Decay. (Presaged themselves by Romeo, Macbeth, Hamlet?) The mad stoned suicidally romantic artist. Looking ahead to the Beats, to beat daddy Kerouac! Wild rhapsodic self-destruction. The narrator and Usher seem to speak little, and alternately Usher lapsed into melancholy, or wild incoherent, rhapsodic talking. “A mere nervous affection, he [Roderick] immediately added, which would undoubtedly soon pass off” (as Lady Macbeth claimed about Macbeth who freaks out at the sight of Banquo’s ghost). The house is, as if it were, his very soul, weighing on him. In contemporary gothic tales, Sylvie and Ruth and Lucie in Housekeeping, and We Have Always Lived in the Castle, the gothic House is the Soul. And the House seen as a tomb. So Madeline dies, put in a vault in the musty room below our narrator. They write, they draw, they play music, but they also read books, too, to heal, or to further sink into the gloom: the literature of dread. Life echoes the story the narrator is reading. A knocking. What? Who’s there?! But she’s dead! Buried? Buried Madeline alive?! Wild storm, house cracks at the fissure we early learned about, collapses (no spoiler here, remember that title) into the tarn [a small mountain lake!]. Nature in all its voluptuousness takes the house back into itself. در داستان های ادگار آلن پو، مرگ و عشق همیشه با هم ادغام می شوند. او در زندگی خودش به علت مرگ ناگهانی همسرش ویرجینیا آسیب روحی شدیدی دید و به همین دلیل، مرگ ناگهانی و غافلگیر کننده یک زن جوان به یکی از موتیف های داستان های او تبدیل شد. ارتباط احساسی بین رادریک و خواهرش زوال پذیر به نظر می رسد. هر دو بیش از حد احساسی هستند و به علت دوقلو بودن، بسیار شبیه هم هستند و کاملا ماهیت هم را درک می کنند. چنان که گویی یک روح هستند در دو بدن. رادریک اگرچه به علت مرگ قریب الوقوع خواهرش مدلین شوکه شده، ولی به در داستان های ادگار آلن پو، مرگ و عشق همیشه با هم ادغام می شوند. او در زندگی خودش به علت مرگ ناگهانی همسرش ویرجینیا آسیب روحی شدیدی دید و به همین دلیل، مرگ ناگهانی و غافلگیر کننده یک زن جوان به یکی از موتیف های داستان های او تبدیل شد. ارتباط احساسی بین رادریک و خواهرش زوال پذیر به نظر می رسد. هر دو بیش از حد احساسی هستند و به علت دوقلو بودن، بسیار شبیه هم هستند و کاملا ماهیت هم را درک می کنند. چنان که گویی یک روح هستند در دو بدن. رادریک اگرچه به علت مرگ قریب الوقوع خواهرش مدلین شوکه شده، ولی به شکلی غیرقابل توضیح، خودش روند این مرگ را تسریع می بخشد. او هم مرگ هر دویشان را پیش بینی می کند و هم باعث وقوع آن می شود. گویا می داند یک مرگ حتمی و غیرقابل اجتناب نفرین خانوادگی خاندان آن هاست. خاندان آشر همیشه به این مشهور بوده اند که نسل به نسل یک بیماری روحی را با خود به همراه داشته اند. دلیل دیگر تلاش رادریک برای از بین بردن آخرین بازمانده های آشر شاید این باشد که ارتباط بین خواهر و برادر شوم و دردناک است و هیچ کدام نمی توانند پیامدهای آن را تحمل کنند. پو مرگ و زوال را هراس آور نشان می دهد چون هر موجود و عنصری در این جهان بالاخره با آن مواجه می شود. راوی وقتی برای اولین بار به خانه می آن ها می آید احساس می کند خانه همچون یک روح بیمار است و آن را با فرد افیونی مقایسه می کند که بعد از مصرف مواد از توهم های خوشایند بیرون می آید و با واقعیت تلخ زندگی مواجه می شود. مرگ پایانی است که همه ما از آن می ترسیم و عشق هم نمی تواند از وقوع آن جلوگیری کند. Todos os elementos peculiares a Poe estão neste conto sinistro. ..terror , tensão , arrepios , mansão assombrada, névoas e escuridão etc . Os dois últimos sobreviventes de uma família lutam pra manter sua existência.Um conhecido chega à mansão pra ajudar...terror total. Although this novelette was published in 1839, Poe is not the founder of the gothic horror genre, in fact Ann Radcliffe's The Mysteries of Udolpho was published a good deal earlier - and thankfully is enjoying a mini-revival of late. But "The Fall of the House of Usher" could be seen as a successful model for novelette length gothic-horror works. This is relatively slow-paced when compared to modern day Seanan McGuire stories or Ellen Datlow anthologies, but it still had me utterly gripped. Poe uses gothic elements in detail, and the insight here into both place and character, make for a compellingly chilly atmosphere. Poe is also surprisingly poetic with his wonderfully descriptive imagery. When reading Stella Gibbons' Cold Comfort Farm, Flora compared the family dynamics to Poe's The Fall of The House of Usher, so I had to read this short and disturbing gothic read which leaves lots to imagine about the siblings and their state of mind. OTR, The Weird Circle, August 29, 1943. I can't think of a better way to kick off the month of October. It's been so long since I've read Poe, or anything like Poe, and that was just so refreshing. It was so great to be confronted with a story that presented a challenge in so many ways: the diction, the sub-meanings, the sheer horror of the plot! After such a long YA binge, this was just wonderful and exactly what I needed to get out of my reading slump. I love everything about Poe's writing. The long and winding sentences that make you sit back and think, but also grip you wit That. Was. Fantastic. I love everything about Poe's writing. The long and winding sentences that make you sit back and think, but also grip you with just the sheer beauty and intricacies of their crafting, just, ahh. Wonderful. And I'd forgotten just how masterful he was at writings true suspense and horror! The deliberate and detailed creation of the setting and atmosphere just took my breath away. I had goosebumps the entire time. Este es uno de mis cuentos preferidos de Poe, básicamente, porque es perfecto. Todo está ahí, en el comienzo, cuando el narrador ve la grieta en la pared. Esa grieta es un spoiler, lo sé, es la punta del iceberg de la narración. Roderick Usher tiene todos los típicos rasgos depresivos del pre-romántico que para variar, habita una mansión demasiado gótica. El suspense de Poe a lo largo de la trama, el desaosiego de Roderick y la maldición de Lady Madeline transforman a este lúgubre trío en uno de Este es uno de mis cuentos preferidos de Poe, básicamente, porque es perfecto. Todo está ahí, en el comienzo, cuando el narrador ve la grieta en la pared. Esa grieta es un spoiler, lo sé, es la punta del iceberg de la narración. Roderick Usher tiene todos los típicos rasgos depresivos del pre-romántico que para variar, habita una mansión demasiado gótica. El suspense de Poe a lo largo de la trama, el desaosiego de Roderick y la maldición de Lady Madeline transforman a este lúgubre trío en uno de los más condenados de la literatura. El cuento tiene una redondez brillante donde todo encaja: el comienzo es prometedor, la parte central, intrigante y con un efecto de hechizo que eclosiona en un final de esos que sólo Poe podía concebir. Oh come on, how is this not fun. Read on a dark night, one when the lights are out because there is a furious storm beating on your rooftop and windows, it would make you shudder indeed. It is not my first reading, but it might be my most appreciative one. I reveled in the description, the careful choice of words, the building agitation of our narrator. I picked up on one tidbit I might have missed before. Very early on in the narrator's description of Roderick Usher (who doesn't love that name?) Oh come on, how is this not fun. Read on a dark night, one when the lights are out because there is a furious storm beating on your rooftop and windows, it would make you shudder indeed. It is not my first reading, but it might be my most appreciative one. I reveled in the description, the careful choice of words, the building agitation of our narrator. I picked up on one tidbit I might have missed before. Very early on in the narrator's description of Roderick Usher (who doesn't love that name? ), we are told his "family had been noted, time our of mind, for a peculiar sensibility of temperament, displaying itself, through long ages, in many works of exalted art..." As an artist who seriously teetered on the edge of madness himself, I wonder how completely Poe connected art and insanity; how much he feared that the very sensitive and artist personality might succumb to it. This is the first of Poe's stories I've read. I came across an astonishing reading, as so many of my friends have early described. Poe's style shows us how every element of a short story is meaningful. I've recently read a meta-linguistic narrative in which the author said "No useless words, all of them, the absolute totality, loaded with signification. Novel readers have time to lose; short-stories readers, don't." While reading this book, I couldn't agree more. I adored the gothic style, just This is the first of Poe's stories I've read. I came across an astonishing reading, as so many of my friends have early described. Venerando o corvo, ave anunciadora da morte, Poe entregou-se às artes macabras de escrever contos fantásticos e imaginários, ambientados numa atmosfera negra, a que o leitor se vai entregando não apenas pelas descrições exímias e vívidas como também pelo uso assaz da primeira pessoa. Primeiramente o Homem é apresenta numa das suas facetas mais bestiais: um animal de sugestões e coincidências, com apetência para caminhar no fio da navalha, entre a lucidez e a loucura. Neste estadio de persuasão s Venerando o corvo, ave anunciadora da morte, Poe entregou-se às artes macabras de escrever contos fantásticos e imaginários, ambientados numa atmosfera negra, a que o leitor se vai entregando não apenas pelas descrições exímias e vívidas como também pelo uso assaz da primeira pessoa. Primeiramente o Homem é apresenta numa das suas facetas mais bestiais: um animal de sugestões e coincidências, com apetência para caminhar no fio da navalha, entre a lucidez e a loucura. Neste estadio de persuasão sobrenatural, deixa-se abarcar por um ambiente lúgubre, ornamentado por casas apalaçadas mas recônditas, com ramos de árvore a cair para as janelas devido à podridão; com fungos insaciáveis a proliferar pelas paredes; com águas pantanosas por onde pairam miasmas de maleitas; com salas com móveis escuros e cortinas que ondulam ao sabor dos ventos ciclónicos de tempestade. 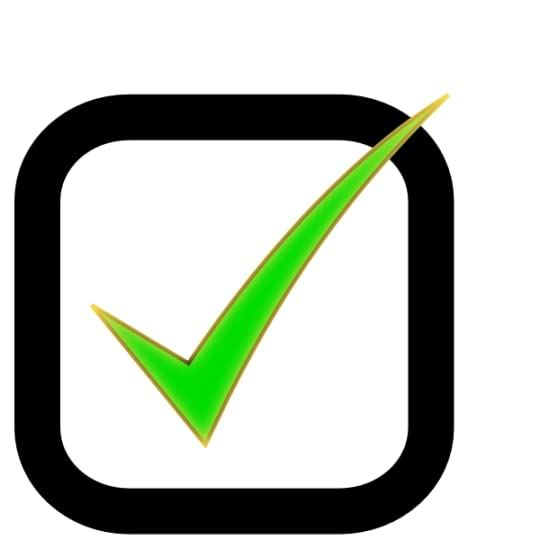 A ideia de morte surge assim sem nenhuma surpresa de maior, com um incremento patológico das sensações: não poder ouvir mais do que determinados decibéis mas apenas os mais fúnebres; não poder tocar em todas as texturas mas apenas as mais sedosas, não poder ver todas as cores mas apenas os tons mais escuros; não poder cheirar todos os odores mas apenas os mais adocicados exalados pelos corpos putrefactos, não poder degustar todos os sabores mas apenas os mais insalubres. Sem esquecer esse sexto sentido, que qual arrebatamento traz uma sepultura aguardada. De seguida, relata-se a aventura epopeica sobre a sobrevivência humana face aos desafios lançados pela Mãe Natureza, nesses dias de corajosamente marear frente à tempestade, quando a perspicácia sobrevalece perante a mesquinhez, de quem menos se espera. Por último, regressando ao campo das intuições, trava-se conhecimento com um homem cuja principal ocupação é atentar aos pormenores de uma multidão, dissecando primorosamente cada um dos seus elementos que deambulam na noite, à luz de lamparinas que realçam os seus traços fisionómicos. Entre a lua da infâmia,despoleta a excitação pelo pelo fruto proibido é despoletada, e inicia-se uma perseguição por alguém que apenas pretende estar acompanhado. Ugh. I just love Poe's stories so much. Good thing he wrote many, so I still have more to go. The narrator goes to Roderick Usher's house because he's summoned due to his friend's illness. There, he starts to notice some strange things, some of which include Usher's sister weird behaviour and subsequent death. Even when this was so short, I found Usher to be an intriguing character. Utterly creepy but really interesting. His condition of hypochondria and axiety made him even more intriguing, and a Ugh. I just love Poe's stories so much. Good thing he wrote many, so I still have more to go. Even when this was so short, I found Usher to be an intriguing character. Utterly creepy but really interesting. His condition of hypochondria and axiety made him even more intriguing, and also, it was crucial to the plot. And the ending... damn. I loved it, but damn. Poe sure knew how to write horror, and I love that. Overall, it met all my expectations. It's an insane good book. When I read the last word I exhaled a breath of awe and felt like a child who had ridden his first roller coaster -- "Woe! That was so freaking awesome. Oh my God!" I said this with whispering, quivering excitement. I read this in elementary school but just now, at 39, understood the connection of the story, the slaying of the "dragon," the power of this house to turn fantasy into reality. Poe relies heavily on setting, a Gothic masterpiece in the beginning, which has a slow start. The last few pages stirred me with the whirlwind, the pace, the awe, the excitement! I begin to understand why a crazy fan of Poe's sneaks into his graveyard on his birthday every year, dressed and hidden in black, and places a flower on his grave in the still, cold night. Genial. Me encanta la musicalidad de los textos de aquella época, donde se escribía prosa como si de poesía se tratara. Un cuento cortito, pero muy genial, con muchas palabras apuntadas por ser desconocidas para mi (cómo me gusta apuntar palabras!!!). La casa es un auténtico personaje. Otro cuento perfecto en donde la construcción de una atmósfera horrorosa es tan importante como los hechos terroríficos en sí. Fiel a la tradición, prefiero comentar los cuentos de Poe muy brevemente para sortear los golpes de efecto y los spoilers. Sí puedo contarles que la historia empieza con un narrador sin nombre (ya me acostumbré a ese anonimato) al cual un antiguo amigo invita a su casa. O, mejor dicho, se lo pide con urgencia. Roderick Usher, el amigo en cuestión, no está pasando por un Otro cuento perfecto en donde la construcción de una atmósfera horrorosa es tan importante como los hechos terroríficos en sí. Fiel a la tradición, prefiero comentar los cuentos de Poe muy brevemente para sortear los golpes de efecto y los spoilers. Sí puedo contarles que la historia empieza con un narrador sin nombre (ya me acostumbré a ese anonimato) al cual un antiguo amigo invita a su casa. O, mejor dicho, se lo pide con urgencia. Roderick Usher, el amigo en cuestión, no está pasando por un buen momento de salud, así como tampoco lo está haciendo la otra integrante de los Usher con quien el narrador se va a encontrar. De más está decir que la casa es tan espantosa como todo lo que sucederá allí por los delirios del anfitrión. Como ya lo adelanté antes: le falta un tornillo. Conciso y con mucho suspenso (bien manejado), The Fall of the House of Usher condensa varios elementos típicos de Poe, sin caer en la mera repetición de sus recursos: el narrador que no pide estar en el lugar del conflicto, el hombre misterioso que termina demacrado, las sombras de la locura, la muerte que rodea y asfixia. Siempre hay una vuelta de tuerca para dar, incluso en el mismo argumento de la historia, que impide que alguno de los cuentos pueda confundirse con otro. Y el final es uno de los mejores que encontré hasta el momento en Poe. Recomendadísimo para salir de bloqueos de lector y para cortar un poco el clima colorido y festivo de estas fechas (en caso de saturación).